Fully wraps the chain to guide it onto the rear sprocket. 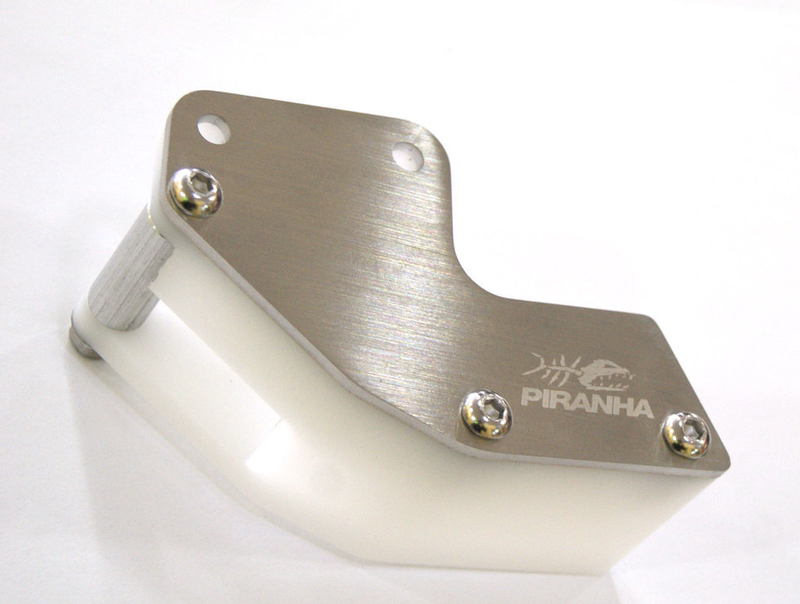 CNC machined, stainless steel hardware and HDPE plastic buffer for low friction. Note: On any KLX from 2010+, you must use the OEM spacer that comes on the bike and this guide.